The exceptional craftsmanship and installation of fencing from West Florida Fence extends to our gates for Tampa building projects as well. For more than a decade our professional team has been matching wooden, chain link, aluminum, and iron fences with finely crafted, secure gates Clearwater that glide open and closed with precision and ease. 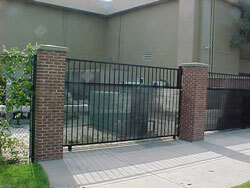 As the trusted contractor for fences and gates we have provided gate solutions for a wide variety of venues and communities from community pool and apartment complex entry gates to employee access and security gates in major amusement parks and professional sports venues. With more than 150 years of combined experience in the fencing industry we can provide the residential and commercial fencing and gating solutions you need, from temp fencing to swimming pool fencing and decorative aluminum to dumpster enclosures and prefabricated walls. 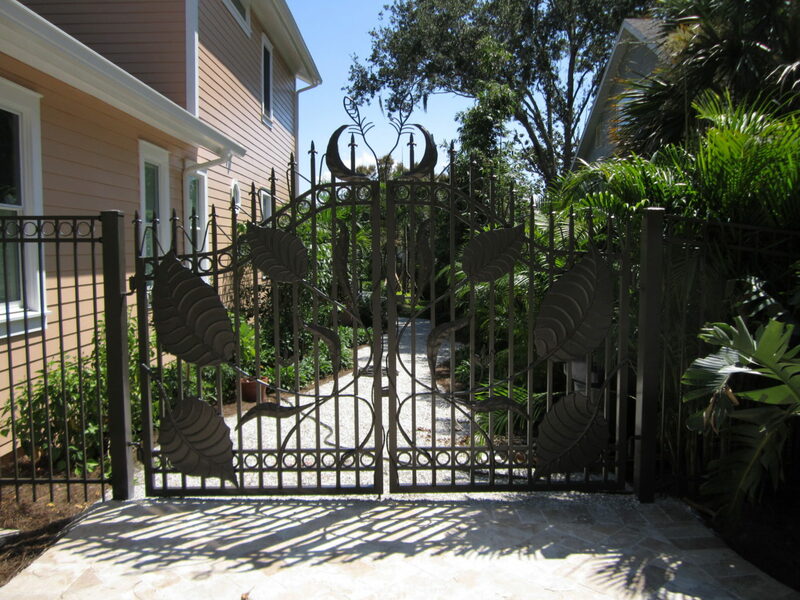 We also provide exceptional services in gate repair for Tampa area customers. For more information on any of our gates and fencing, including custom options, call or email us today. A custom fabricated gate we recently built and installed for a satisfied client.